Twice a week, Making A Mark gives an insanely talented artist some IADW brag-space. 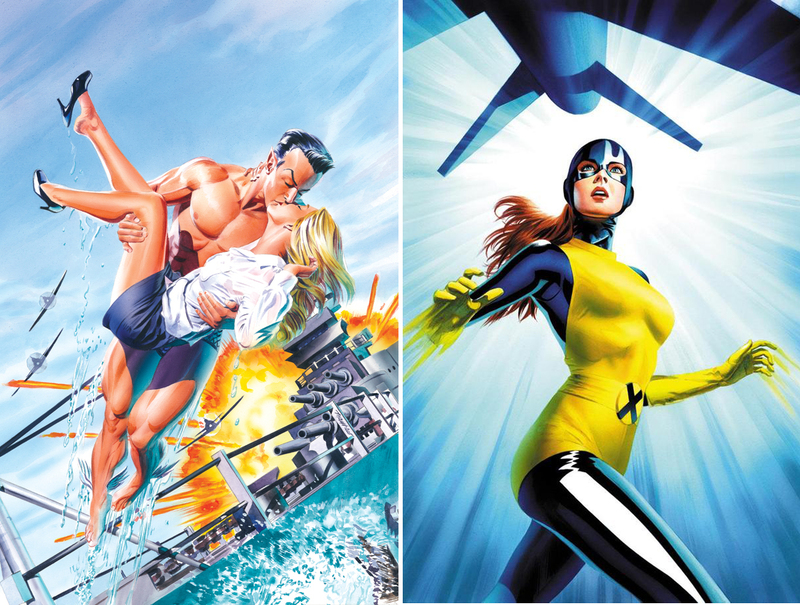 Today goes to Mike Mayhew, a professional American illustrator who brings an iconic feel to everything he touches, be it a wholesome Jean Grey or the slightly more savage Vampirella. In a Steve Rude-ish way, Mike's bright, clean visuals strike at the core of the character. A fan of the original Kirby X-Men designs, even I find it hard to believe such tight colours have been done by watercolour! Infact, the more I look at the Namor piece above, the more I realise a series that follows the Sub Mariner as he fights Nazis, yet turns on mankind for the oceans and even stands at Magneto's side as he used to, is one I want to read! 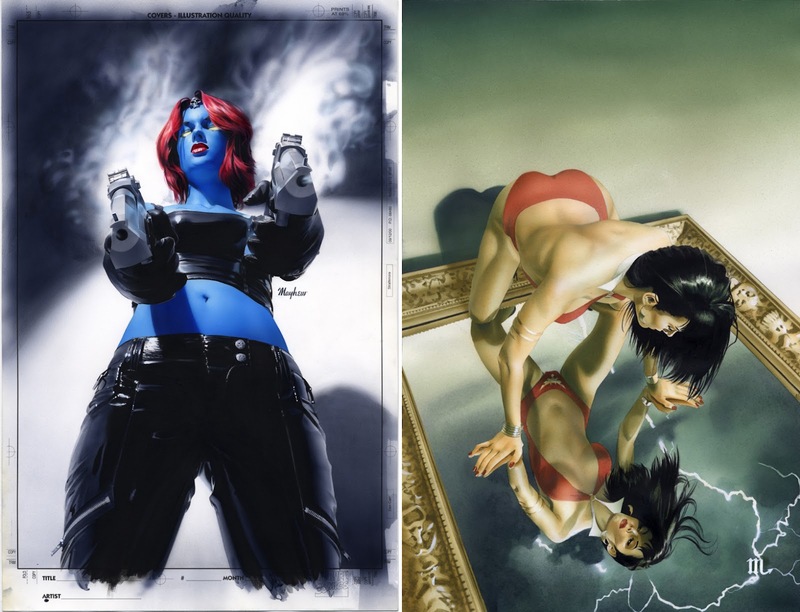 These two acrylic numbers I wanted to include not only for their awesome perspectives, but to show how a 'non-dark' artist can be so versatile, that he handles two of comics' darkest ladies with complete ease and originality! While they highlight Mike's favour of using models in his work, he admits he is starting to use Poser more and more. If that doesn't say 'retro Marvel' I don't know what does! 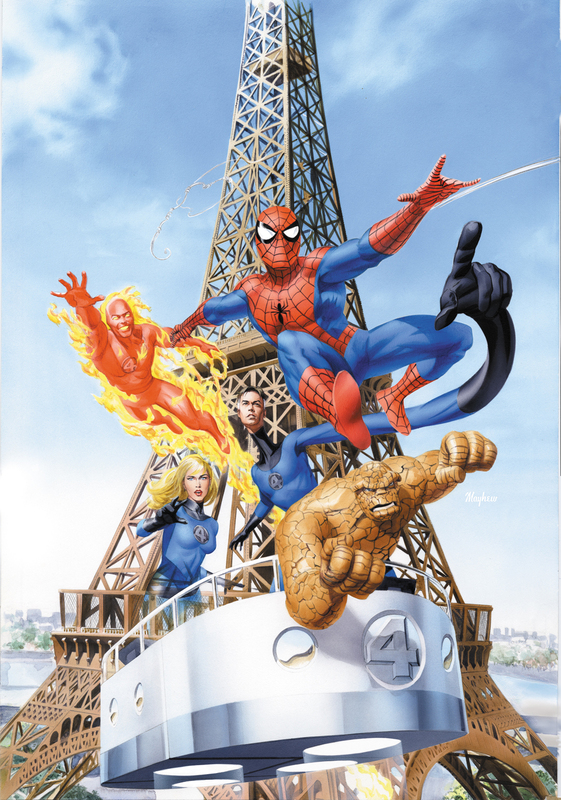 A cover for France's Comic Box mag, you could swap out the Eiffel Tower for any country's central landmark and still have one hell of a poster piece. What do you think? Sound off below in the comments section or click here for more great Making A Markists. To see Mike's retro based wonders and a whole lot more, visit his website after the jump. That Namor scene with Sue is pretty hot for a shot from the Silver Age. This is the sort of pic that inspires countless fan-fiction if you know what I mean. all the stuff here is excellent but that Vampirella gives me a serious woody. Sure do Dale, but like I say that's where Mike really steps into his own. He has this really classic timeless feel, yet still can out 'saucy' Adam Hughes - and that guys art is ALOT of saucy. True 'nuff. Also, thanks for adding a link to my page on yours. 'Preciate man. No worries Dale! I put it up again when u got back into posting to save my two fingers typing out the url. now that its helped me hopefully other readers can be saved the same excercise!